In 1959, at the age of 19, Garry Dearn started drag racing (a 1959 Chevy 6 cyc., automatic) at the Longueuil Drag Strip, behind the Pratt & Whitney plant. In 1961, he sold his 1959 Chevy and bought a 1957 Chevy, 283 – 185 HP. After one year and two blown automatic transmissions, a switch was made to a 4 speed. In 1964, Dearn bought a 1964 Plymouth 426 CI – 365 HP (automatic), which was raced in the A/SA class. 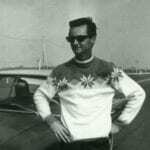 In 1966, he started working as a Tech Man at Napierville with Joe Harsca, while still trying to race a 1958 Chevy Sedan (Delivery with a 283 CI – 270 HP engine). Dearn went into the tech side of drag racing in 1968, concentrating on the Stock, Super Stock and Bracket Racing classes. 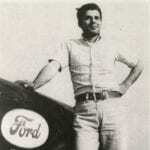 He worked at Napierville (his home track), Sanair (Grand Nationals), Englishtown (Summer Nationals) and Indy (the Nationals). Dearn retired in the 1990’s to concentrate on becoming a swim official, as his son had taken up competitive swimming. Today Dearn is a Level 5 Master Swimming Official in charge of other officials for his home club in LaSalle (CALAC). Dearn has worked at various championship swim meets, which include provincial, Canadian national and Olympic game trials. 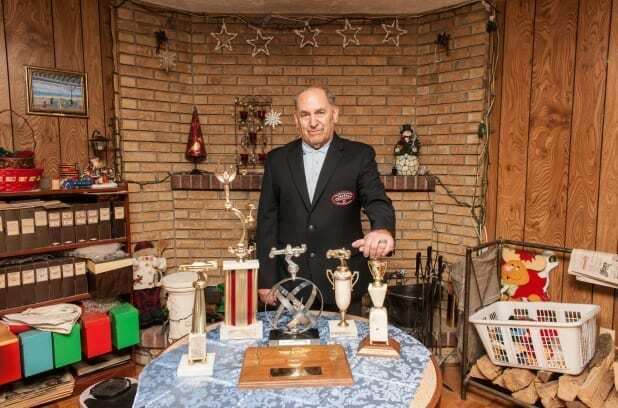 In 2008, Dearn was selected as the city of LaSalle’s Moulin D’Or Volunteer of the Year for sports. He plans to continue on this path for as long as he can, and still enjoys visiting Napierville for their major meets.